Treasure hunting is your greatest hobby. Whenever you have free time, you see to it that you go out and do treasure hunting. This is really challenging and love you challenges. Besides, the treasure that you will find is enough payback for you hard work. But if you thought that treasure hunting on caves and forests is hard, then you have to think twice. You heard that there is huge gold treasure but it is under the sea. You know that it is definitely harder. Since you love challenges, you didn’t think twice to go under there. The water current is not the only thing that you have to think about. 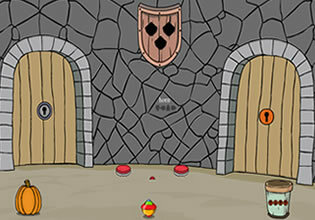 You also have to think hard of the puzzles that you will encounter. On the good note, there are clues that can help you with those puzzles. There are also hints that can help you to find the gold treasure easier. In addition to that, there are items that you can pick up and use for your mission. But even with the help of those things, you still have to use your logic to complete everything in time. 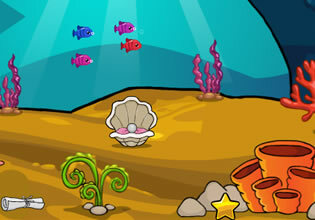 Underwater Gold Treasure Escape is the newest outdoor escape game by Games 2 Jolly. Good luck!